The Universal Periodic Review (UPR) is a unique mechanism of the Human Rights Council (HRC) aimed at improving the human rights situation on the ground of each of the 193 United Nations (UN) members. Under this mechanism, the human rights situation of all UN Member States is reviewed every 5 years. 42 UN Member States are reviewed each year in Geneva during three sessions dedicated to 14 States each. These three sessions are usually held in January/February, April/May and October/November. New Zealand’s third Universal Periodic Review is due in January/February 2019. This is a five-yearly review of our domestic human rights record. The New Zealand government submits a national report to the United Nations (due in October 2018) followed by a public examination of our report (January/February 2019). At this examination, UN member states will have an opportunity to make recommendations on our progress on human rights. New Zealand had our first Universal Periodic Review in 2009 and our second in 2014. 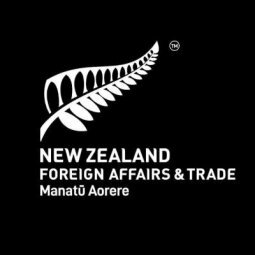 The Ministry of Foreign Affairs and Trade (MFAT) is responsible for writing the national report covering a broad range of current human rights issues in New Zealand. They will engage with a range of government agencies from early 2018 to seek advice on the issues to be included in the 20-page report. A draft of the national report is intended to be released online for consultation in mid-2018. The report will also be circulated to all those who attended the consultation sessions, as well as other interested stakeholders. The final report will require approval by the Minister of Foreign Affairs ahead of submission to the UN. The Human Rights Commission is coordinating with the Ministry of Foreign Affairs and Trade (MFAT) to support New Zealanders to participate in the process. We also want to hear from you about your experience of human rights in New Zealand.